When you are struggling to get out of debt and are looking for effective ways of resolving your debt issue, you may opt for debt settlement as it sounds like a wise option at the moment. However, the truth is that it could be a tricky option. Without a sound knowledge about debt settlement and what the process entails, you may fall into deeper trouble. You may need to seek professional guidance and expert assistance of a reliable and accredited debt settlement company to get out of your debt situation. Remember credit card debt seems to be a critical financial issue in the U.S.A. Sadly; many consumers are not able to receive the assistance that they require and deserve to get as a result of a misunderstanding relating to how debt settlement actually works. 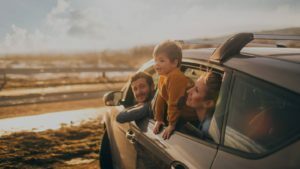 Moreover, there are several other clients who are opting for the debt settlement process without going through the other more relevant options that are out there and relatively less damaging to their overall credit report. As per experts at https://www.forbes.com, if your bills are the cause of your anxiety and if your debts seem to be constantly coming in the way of achieving your dreams, it is high time you commit to getting out of your debts. This may look like just a throwaway tip, however, it is a vital tip. Eliminating debt is a challenging and difficult task. It takes a lot of discipline over an extended period of time. Often it would necessitate lifestyle modifications. It may often necessitate bucking peer pressure. If you are trying to get out of debts and have decided to opt for debt settlement you must understand the implications. You must not allow certain groundless and unfounded debt settlement myths to restrict the debt relief options available to you. Here are some of the most common myths associated with debt settlement programs. When you are seeking assistance from professional debt settlement companies, it is really important to keep in mind that the debt settlement companies are not the same in terms of accreditation, experience, expertise, services etc. Some unscrupulous companies would be trying to scam their clients into paying them truly outrageous amounts. It is critical to choose the right provider to assist you and guide you every step of the way in your debt reduction endeavors. Remember ultimately, legitimate and accredited services would be able to save you money, stress, and time. However, it is always a good idea to browse through the debt settlement ratings before seeking assistance from a professional debt settlement company or services. Your credit score would still be impacted by the decisions you take no matter what. When you pay just a portion and not the full debt amount, it is bound to impact your credit report adversely to a certain extent. Remember that an outstanding debt which has been resolved could show in your credit report for the next seven years. So, even though debt settlement programs apparently seem advantageous in terms of your monthly repayments and reduction of overall debts, it would ultimately, negatively impact your finances and hurt your credit score. However, it is crucial to remember that an entry that shows a debt to be ‘settled’ is much better than the entry showing the debt as ‘unpaid’. This is certainly not the truth. Some services are constantly encouraging you to opt for debt consolidation loans but even though they promise lower interest rates sometimes the repayment period could be extended over a longer period of time so you would anyways end up paying more. Using a debt consolidation loan may be a quick fix that could culminate in major issues if you do not stay on top of the monthly repayment. Several settlement practices recommend skipping payments so that creditors would be ready to negotiate for smaller amounts. 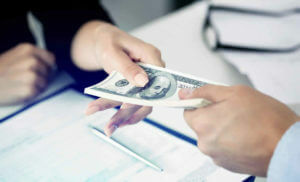 However, this may push lenders to boost their collection endeavors and become more aggressive in their approach. They may even opt for legal recourse to receive the amount they had given you as a loan. All the while, interest would be accumulating and you may be compelled to pay much more compared to your initial amount. It could be an overwhelming task to try and settle your debt especially, with collection agencies. Several representatives would be making things really difficult for you to negotiate effectively. There would be still others who would be discouraging you and telling you that debt settlement is not the right option for you. It is best to hire a reputed and reliable debt settlement company to do the negotiations with your creditors on your behalf and get you the best deals possible.